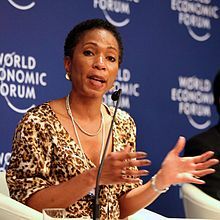 Helene D. Gayle is president and CEO of CARE USA, a leading international humanitarian organization with approximately 10,000 staff whose poverty fighting programs reached 82 million people last year in 87 countries. Since joining CARE in 2006, Dr. Gayle has led efforts to reinforce CARE’s commitment to empowering girls and women to bring lasting change to poor communities. Under her leadership, CARE has strengthened its focus on long term impact, increased policy and advocacy efforts and deepened connections between poverty and the environment. Gayle has leveraged the power of CARE’s corporate and NGO partners to significantly expand CARE’s reach across the globe. An expert on health, global development and humanitarian issues, she spent 20 years with the Centers for Disease Control, working primarily on HIV/AIDS. Dr. Gayle then worked at the Bill & Melinda Gates Foundation, directing programs on HIV/AIDS and other global health issues. Dr. Gayle serves on several boards, including the Center for Strategic and International Studies, the Rockefeller Foundation, Colgate-Palmolive Company and ONE. She is a member of the Council on Foreign Relations and the American Public Health Association. Dr. Gayle also chaired the Obama Administration’s Presidential Advisory Council on HIV/AIDS, and currently serves on the President’s Commission on White House Fellowships. Named one of Foreign Policy magazine’s “Top 100 Global Thinkers,” and Newsweek’s top 10 “Women in Leadership” Dr. Gayle has been featured by national and international media outlets. She has also published numerous scientific articles.